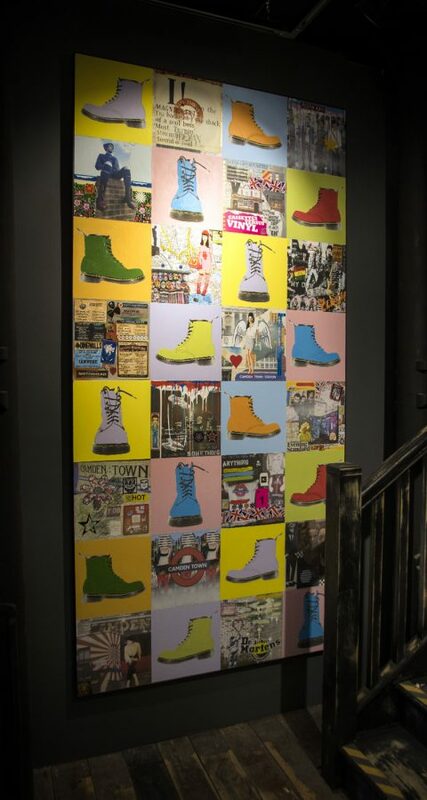 Horace was asked by Dr Martens to create a bespoke 8ft piece of art for their brand new Camden store. “It’s based on a drafts board, you know, the alternating chequerboard squares. I’ve created 16 separate collages that express my personal narrative. Then there are 16 white squares that represent Dr. Martens”.